Norfolk-based liftshare is helping fill empty car seats on the roads while offering a friendlier, greener and cheaper way to travel. 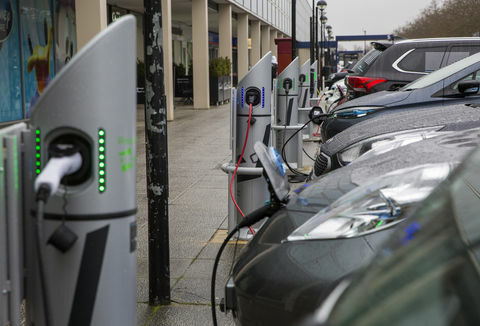 By helping employers set up car sharing schemes and providing a free online national car sharing network, the organisation enables around 80,000 journeys to be taken off the road every day, which it estimates will save around 110,000 tonnes of CO2 this year. 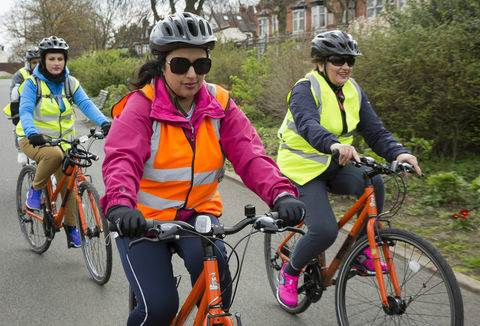 As well as helping reduce greenhouse gas emissions, congestion and pollution, liftshare estimates that a typical commuter saves £1,000 a year, opening up opportunities for people to travel to jobs they wouldn’t otherwise be able to get to. 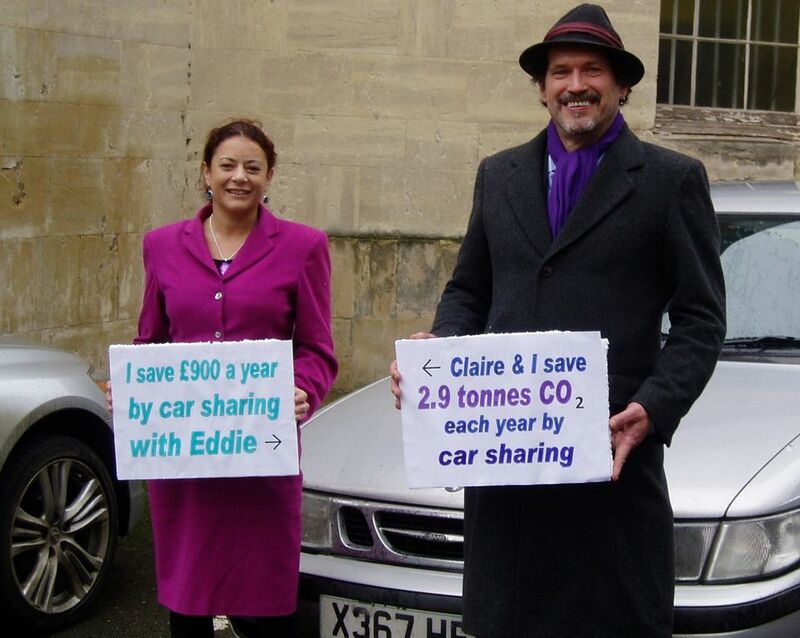 Car sharing saves me well over £100 pounds a month in petrol - but most importantly it has halved my personal travelling carbon dioxide emissions.I’m proud to say I car share, and I actively promote the many benefits of car sharing to my colleagues. Cars are responsible for over half the UK’s 120 million tonnes of CO2 emitted from transport each year. At the same time there are about 38 million empty car seats in the morning rush hour every day. This underused capacity contributes to pollution, congestion and a reduced quality of life. 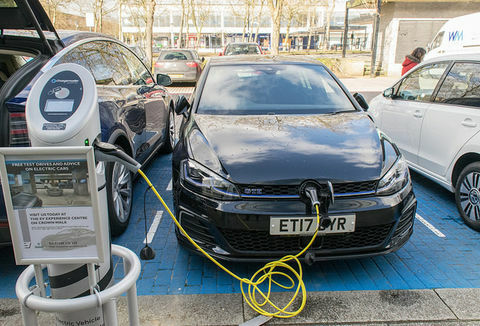 Running a car is becoming increasingly unaffordable in the face of rising fuel prices, yet a car is often the only practical way for many people in the UK to access goods, services and employment. Single occupancy car journeys can be isolating and stressful, and make inefficient use of the road network, particularly where a number of people are making a similar journey in the same direction at the same time. liftshare therefore developed a sophisticated online system that makes it possible for everyone to seek or offer lifts with people travelling the same way, and which is free at point of use. By enabling journeys to be shared on a national and even international scale, liftshare is tackling congestion and reducing CO2 emissions while enhancing social cohesion and promoting a better quality of life. liftshare was established in 1998 by student Ali Clabburn, after he experienced first-hand the German ‘Mitfahrzentrale’ model of car -sharing. Ali realised that no such system existed in the UK, and decided to develop one. Commissions from individual clients started in 2001; the first was for a car-sharing scheme as part of traffic management measures at the Glastonbury festival. South Gloucestershire Council heard about this and commissioned liftshare to develop a tailored car share scheme for Council employees and members of the public. liftshare continues to offer both a free public service and services for individual clients. Its 18 staff manage clients and client support, communications and PR, and software development: the entire online system is managed in-house. Although the main area of operation is the UK, journeys from across the world are currently registered. In the last financial year the company had an income of £1million. liftshare’s main goal is to provide a car-sharing opportunity for everyone who wants one, and all work is geared towards gaining the critical mass needed to achieve this – currently around 6,000 new members join each month. If I couldn’t liftshare my daily commute, I would be unable to make my commute at all! Liftsharing saves me ten hours and £40 per week - or over 450 hours and £1.8k annually. On top of this, my lift sharing buddy and I are now good friends; his wife did the flowers at my wedding and my wife and I have baby-sat their kids. liftshare operates a free-to-use public network which is available to anyone over the age of 18. Alongside this it runs over 1,200 tailored car-share schemes for paying clients, including local authorities, businesses and transport hubs. Once an individual signs up to the liftshare public network to become a member, they can then register their journey(s) – requesting either to offer or seek a lift, or to take turns to drive. liftshare’s software will then suggest other members making similar journeys and allow members to contact each other to arrange to share. liftshare is available both to drivers and to those without access to a car. The team has recently developed the software to enable individuals to search for different sharing opportunities along the length of a journey, as well as seeking a single match from start to end. Organisations that commision liftshare to provide a tailored scheme are charged a set-up cost and an annual licence fee, and provide the service free to their employees. Income from these clients enables liftshare to provide its public car-share network free to the public as well. Car-sharers come to their own arrangements on how to split travel costs, for instance taking turns to drive for regular journeys, or reimbursing travel cost per mile; liftshare provides a ‘savings calculator’ to help with this. The calculator indicates costs and savings based on the number of people sharing, the distance travelled, the current cost of fuel, the car’s engine size, and the estimated wear and tear. As long as the reimbursement does not exceed costs, the driver does not make a profit, and their insurance will not be affected. How is the scheme promoted and maintained? All of liftshare’s software is developed, managed, and maintained in-house and the team is constantly innovating and improving the system. Based on member feedback, liftshare recently further developed a ‘quick search’ option, allowing individuals to search for a journey-match before registering, and added a Facebook registration and log-in function. Individual car-sharers report that the interaction with their car-sharing partners has led to new friendships, opportunities and knowledge. liftshare creates and runs numerous marketing campaigns to promote car sharing throughout the year, capitalising on the environmental, social, and economic benefits of car-sharing for individuals. It also engages with local and national media, featuring on TV or in printed media approximately once a month. Each time this results in a sharp increase in registrations across the network. In April 2012 the active liftshare network membership stood at over 327,000. Currently 86% of all journeys registered with liftshare have at least one match and over 300,000 journeys are currently available. Based on current membership and the current share rate reported from member feedback, liftshare estimates that 332 million miles of car journeys will be avoided over the next 12 months, assuming a minimum of two people to be sharing. Sharing via liftshare will take 78,000 car trips off the road each day in 2012. Reduction in car use cuts both local pollution and greenhouse gas emissions. The saving in car miles leads to an estimated saving of 108,000 tonnes of CO2 e in the next 12 months. This is calculated using the Defra (2011) figure of 0.329 kg CO2 e per mile. 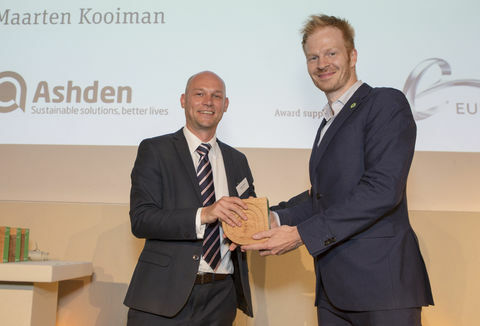 liftshare has used the Department for Transport’s own cost benefit analysis tool to show that car-sharing is one of the most cost effective transport measures for reducing congestion and associated pollution. Driving alone can be an isolating experience and the social cohesion element of carsharing is important. As well as gaining access to opportunities that might otherwise have proved difficult or impossible to reach, individual car-sharers report that the interaction with their car-sharing partners has led to new friendships, opportunities and knowledge. Individuals benefit by sharing the cost of their travel. Car-sharing saves the typical commuter almost £1,000 a year. 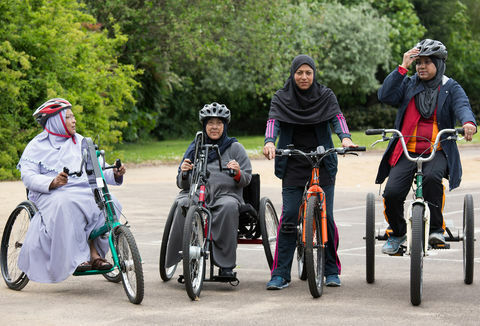 Many members say that membership of liftshare has enabled them to get lifts to jobs that they would not have otherwise been able to access due to the financial burden associated with travel. 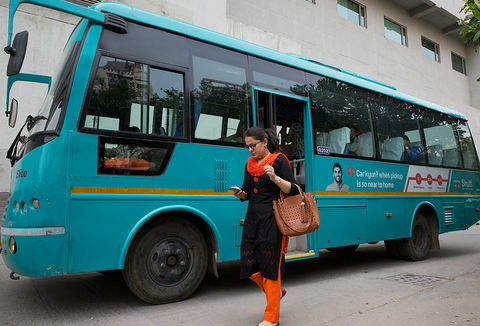 Car-sharing also provides access to services and other opportunities. Organisations can save on business miles and costly car park spaces. There is anecdotal evidence that car-sharing staff are more punctual and alert when they arrive at work than non-sharing staff. I’m not allowed to drive for 12 months due to a seizure - if it hadn’t been for the liftshare scheme I’d have probably resigned. At a national level, car-sharing contributes to reducing congestion on our roads. liftshare calculates the benefit to cost ratio of car-sharing as 72:1 – so every £1 spent on a carsharing scheme will reap £72 worth of benefits to the economy. This is based on analysis of the cost and benefits of corporate car-sharing schemes using the Department for Transport’s own methodology which places a monetary value on the impact that reduced congestion and pollution have on the national economy. The 78,000 car trips a day that are currently being avoided by liftshare members account for a very small fraction of the 38 million car seats that are empty each morning. There is huge potential for increased car-sharing in the UK. The 78,000 car trips a day that are currently being avoided by liftshare members account for a very small fraction of the 38 million car seats that are empty each morning. To promote the role of car-sharing as a travel choice liftshare is developing a new tool which will quickly deliver comprehensive personal travel plans to individuals via email, covering all modes of transport including walking, cycling, current car share options and public transport. Barriers to car-sharing remain – including a lack of awareness or understanding of the concept, coupled with a concern about sharing with new people. But as membership grows, the likelihood of a sharer finding the right match increases – for example in 2010 around 79% of registered journeys had a potential match compared to around 86% in 2011. The network has recently been translated into French to enable more individuals to access the online journey-matching software.